Here are some sample videos of actors performing some of our best free monologues from published play scripts. Discover Free Acting Monologues from Freedrama! 2. Select a monologue you can relate to. Find one that has an experience you share or an emotional you can connect to. Look for a character you understand or that is similar to yourself. Practice public speaking and acting skills with monologues. Use the Freedrama Acting Journal to enhance your skills. 1. Select a monologue that is right for you. Try to find one that fits your age and personality. If you're a 14 year old girl, don't do one about a 70 year old man. Ideally, look for a monologue that you can understand from your own experiences. For example, a monologue about sailing might be hard to connect to emotionally if you've never been on a boat. 9. Now, you're ready to perform or audition. "Princess (Where is my Prince Charming?)" Free online acting class for new actors! 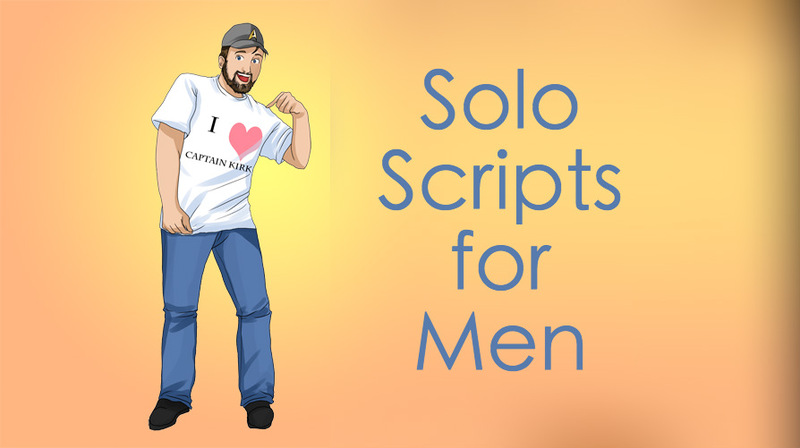 Use the Monologue Finder to help you narrow your search for the perfect solo stage play script. In weakness, we find strength. The walls must crumble before we advance. The darkness finds us before we seek out the light. True strength comes from loss. is from the pain of my past. and stripped to my final shreds of life. to rise up and be reborn. I rise on the wings of my second soul. Nothing good comes from the southside. We're born bad and everyone here tries to keep it that way. But for some reason, I pray. I pray for a better day. A day when we don't have to beg or steal our meal. I want us to earn what we need and deserve it. I'm tired of the whining and crying. I will lift myself up and make it better. I go to church, and hide in the back in my hoodie, hoping no one will recognize me. Nobody here but the oldies and the goodies anyway. I listen, hoping to understand something the priest says. It's mostly alien to me. My family never went to church much. Just Easter and Christmas, at least until mama died. Then nobody cared anymore after that. Nobody but me. I want something different now. I want something better. Let me unlock the key to a new life. A life that's not wasted. I don't want to waste away here like everyone else. Make me better. Make me matter. Let me make a difference. When I had actors try the Demons monologue, several selected one sad or angry emotion and used it throughout which made it a boring performance. The best performances were the ones who selected different types of emotions for different parts of the script. Even though the whole monologue is sad, there are elements of anger, fear, hurting, desperation, madness and even love. The actors that found different emotions to use in different parts were the most interesting and enjoyable to listen to. The short monologues below are a good way to help you work through your stage fright if this is something you struggle with. By practicing short monologues, it can boost your confidence. Don't feel bad about being nervous. Some very famous people had stage fright: Elvis Presley, Barbra Streisand, Meryl Streep and Sir Laurence Olivier. Singer Stevie Nicks explains how this helps her performance rather than hurts it. "If you have stage fright, it never goes away. But then I wonder: is the key to that magical performance because of the fear?" These monologues are excellent for auditions, workshops, classrooms and competitions. Freedrama gives you a chance to use some new, original, fresh monologues that have not been performed over and over again. By using a monologue that isn't as familiar, you'll give the casting director a chance to enjoy the overall audition and focus on you as an individual actor.